The coffee’s not bad either. Looking for Someplace to Hang Your Hat? 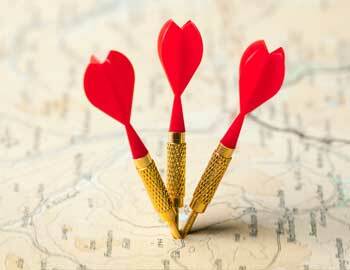 We’ve made property searches easy. Revolutionary ideas flow like wine around here. 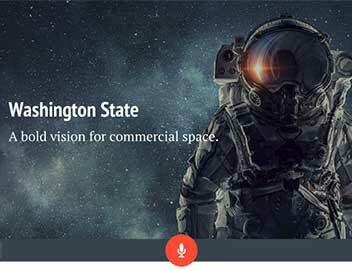 Our Startup Washington website has everything you need. 800 multinational firms are in Washington. Washington State is easy to get to and easy to get around. The birthplace of such legendary businesses as Amazon, Boeing, Costco, Expedia, Microsoft, Nordstrom, PACCAR, REI and Starbucks, Washington State offers businesses, site selectors and investors a critical mass of highly skilled workers in the aerospace, agriculture, clean technology, information & communication technology (ICT), forest products, life science/global health and maritime sectors. Our culture of creativity and collaboration brought the world the age of jet travel, spawned an international coffee culture with a language all its own, built digital empires out of slivers of silicon and strings of binary code, and in the process, fundamentally changed the way people around the world shop, travel, eat, drink, relax, dress and think. How did a 150-year-old Dutch shipping line end up in Washington State? 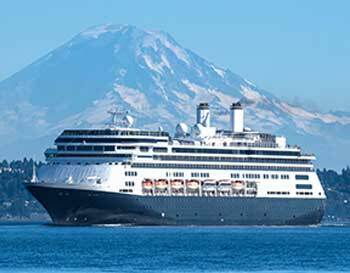 The story of Holland America is stranger than fiction and definitely not a sailor’s yarn. Holland America single-handedly transformed the Alaska cruise business, decades before the Love Boat made such a splash. Yes, we have space for you. Washington is famed for its aerospace industry, but did you know that we’ve been an integral part of the space program for more than 60 years? We’ve worked on some of the biggest missions in U.S. history – from landing on the moon to exploring Pluto – and now we’ve set our sights on commercial space and its endless opportunities for visionary Washington companies. Looking for a place to hang your hat? Or make hats? Search available real estate and buildable land, run community comparisons, view and analyze data and access interactive maps based on your custom parameters. Lowest Cost Energy in U.S.